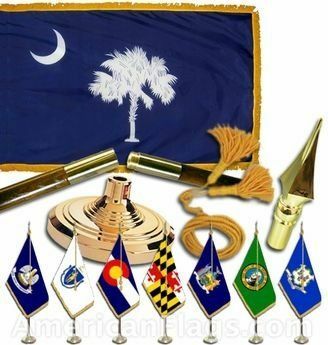 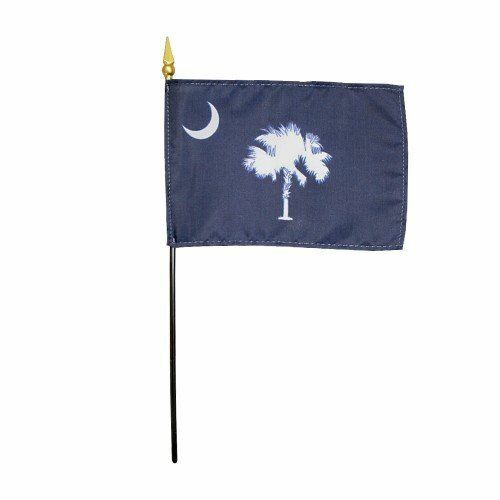 AmericanFlags.com is proud to carry South Carolina State Flags in a variety of materials, and styles, in sizes ranging from 4 IN X 6 IN to 12 FT X 18 FT. All of our South Carolina flags meet official specifications, are on sale right now and are ready for immediate shipping to your door. 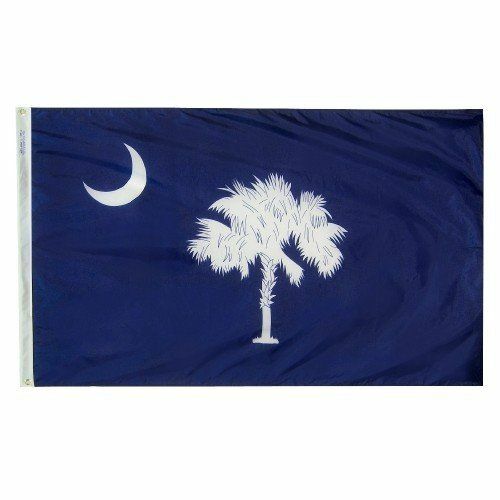 During the Revolutionary War Battle at Sullivan's Island, the South Carolinians built a fort of soft palmetto wood, which absorbed the impact of the cannonballs being shot by the British fleet and helped the South Carolinians win the battle. 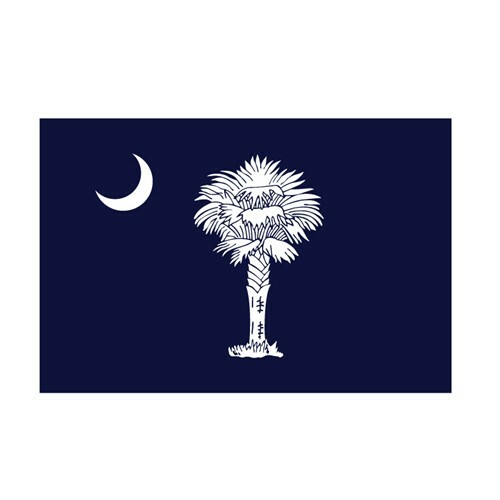 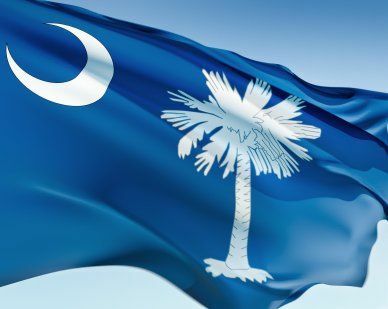 For this reason, the palmetto tree, along with white crescent, graces the South Carolina State Flag, which was officially adopted in 1861.